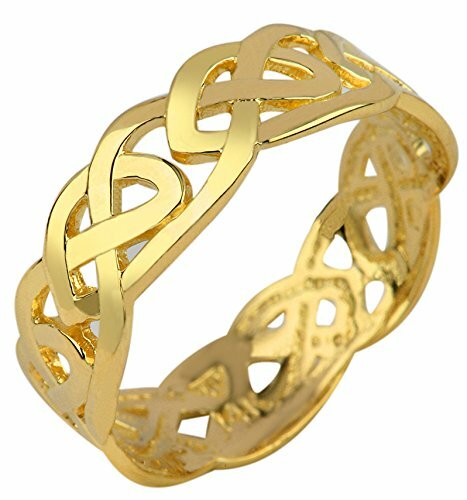 This outstanding wedding band boasts an impressive Celtic weave design (1.5 millimeters thick and 6.30 millimeters wide) by way of an expertly polished finish and the classic 10k yellow gold allure. Exquisitely crafted to perfection, this solid gold eternity ring is of unsurpassed quality and lets anyone who wears it exude a fusion of both modern and classic appeal. If you have any questions about this product by Celtic Wedding Bands, contact us by completing and submitting the form below. If you are looking for a specif part number, please include it with your message.